MDC Alliance leader Nelson Chamisa wants any dialogue with President Emmerson Mnangagwa to yield a transitional authority that will prepare for fresh elections, it has emerged. 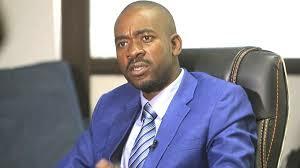 Chamisa rejected Mnangagwa’s July 30, 2018 election victory, claiming that the polls were rigged in favour of the Zanu PF leader. The poll dispute has been blamed for Zimbabwe’s worsening economic and political problems and pressure is mounting on the two leaders to hold talks to resolve the crisis. “For us, it’s not about power-sharing. It’s about the need to create a life for the people. It’s about how do we bring an end to the suffering of the people,” MDC Alliance spokesperson Jacob Mafume said in an interview. “That is what can make the party happy. That is what will make my president happy. [The process] has to lead to reforms politically and economically. “Dialogue should result in the adoption of a roadmap to legitimacy following last year’s shameful elections. However, Information deputy minister Energy Mutodi yesterday said Chamisa must first acknowledge Mnangagwa’s election victory if he wanted any dialogue. “(Mnangagwa) is ready to talk to anyone who matters, but he cannot talk to people who don’t recognise him as the president. “We have got to agree to the fact that he was elected by the majority and was declared winner,” he said. “Anyone coming to him for dialogue must first acknowledge that.